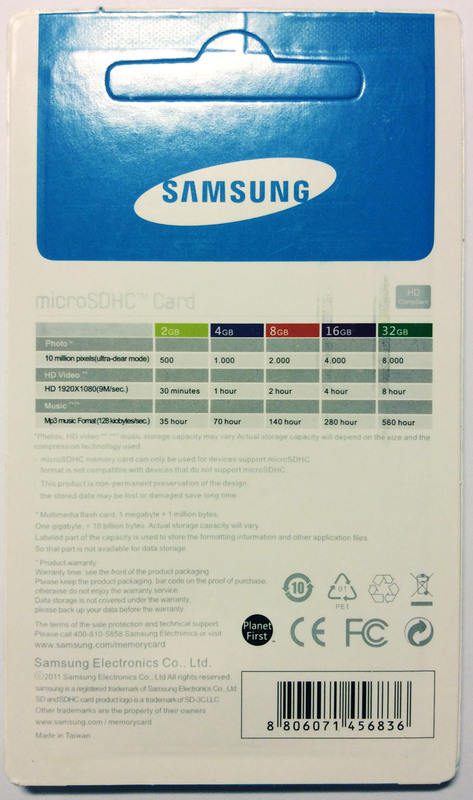 Last week I ordered two Samsung Class10 32GB microSDHC cards on ebay which turned out be product fakes. What could have been only an annoyance quickly turned into a disaster as only 6.9GB of the 32GB were usable. 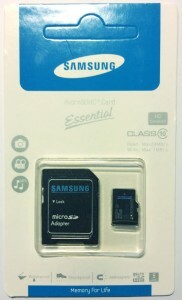 Writing more data to the card would result in data loss. First, some pictures of the packaging which appears to be genuine at first glance. 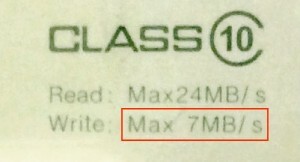 Advertised as a Class 10 card, a write speed of 7MB/s should cause a lot of suspicion. 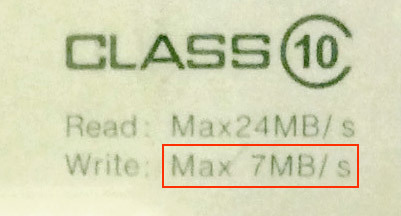 Per definition, a Class 10 rating means a sustained read and write speed of 10MB/s. From what I gather, all genuine Samsung cards should be “Made in Korea”. 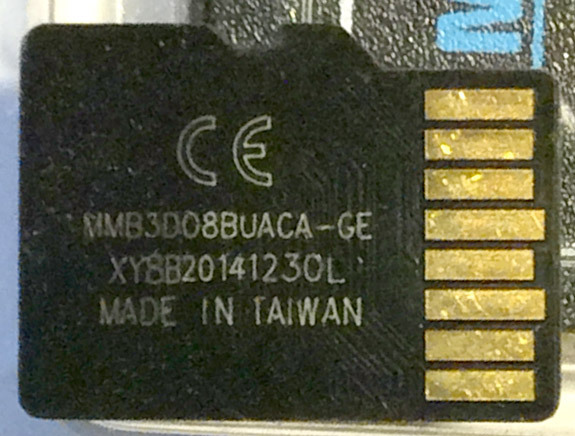 Coincidentally, the same number was found on a fake SanDisk microSD card (which also was pretty much the only useable Google search result for this number, no results whatsoever on any Samsung site). Fortunately, I copied more than 10GB of data (in my case Openstreetmap files for use in a GPS device) to the card and therefore noticed the problem right away when the maps would not work. 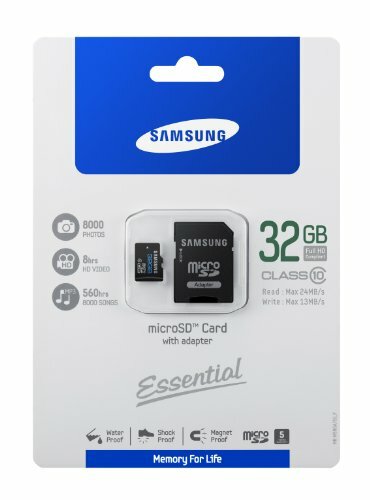 Just imagine using one of these cards in a camera and clicking or filming away only to learn that most of what you shot turned to garbage instantly. Thus, when in doubt, always check your flash media using H2testw.